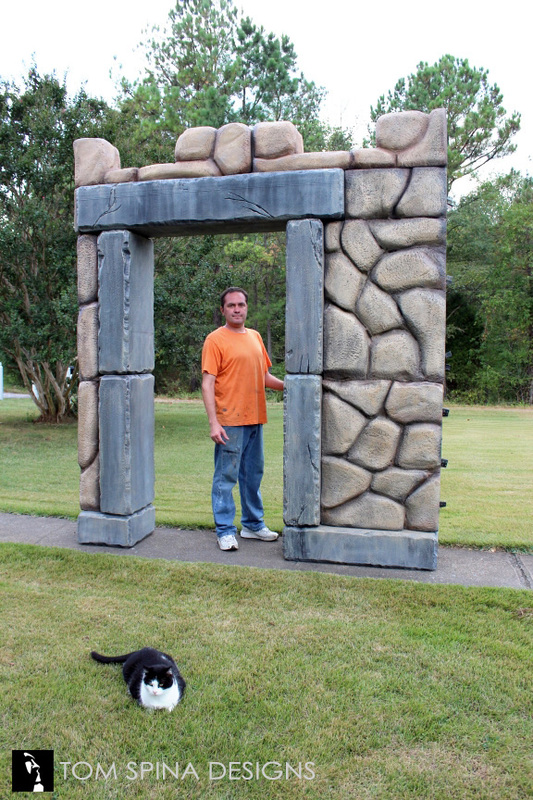 A custom faux stone carved foam castle gate scenic prop wall created to add theming to a museum exhibit. 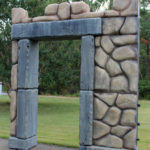 We were contacted by a museum that was trying to bring history to life by adding a little bit of theming to their exhibit on the ancient Fortress of Ai. 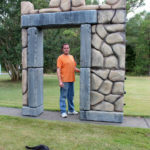 They asked us to create a foam castle gate scenic prop for them. 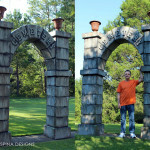 The new gate would become the entrance to a future exhibit and transport their guests into an ancient world. 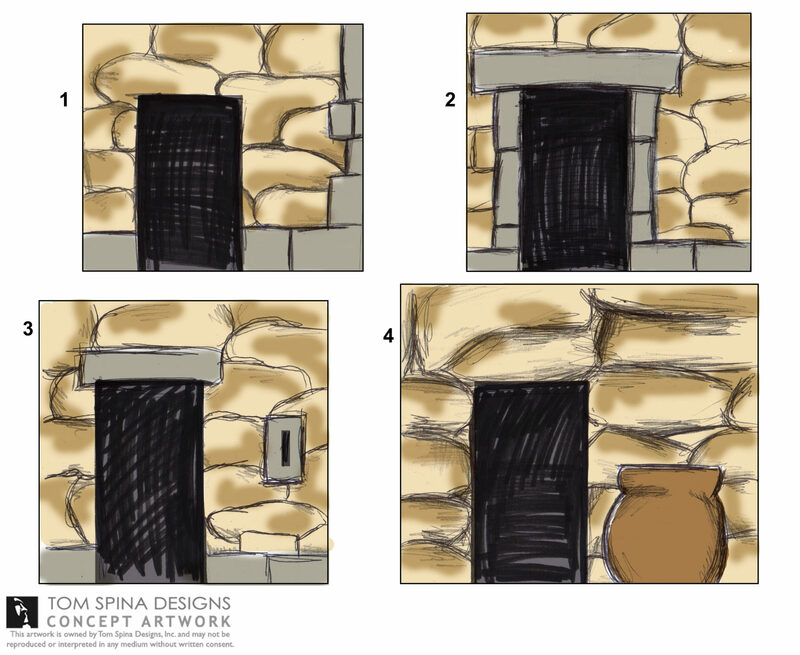 We began by sketching out several different designs, and working closely with our client (and even with some input from their archaeologist) to create something both beautiful and functional. 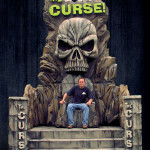 Once the design for the faux stone carved foam wall was finalized, the sculpting begins. 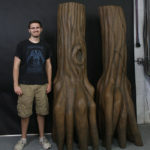 To make shipping and installation of the final piece as streamlined as possible, lead foam artist Richard Riley created the wall to break down into several smaller pieces (another aspect which was discussed in the design phase). 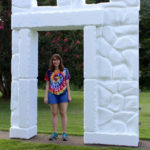 The entire wall was hand carved out of EPS styrofoam. 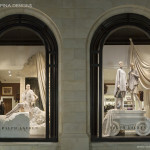 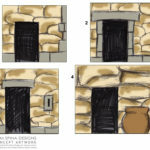 Rich used several techniques to get the mixture of the cobblestone look as well as the larger slabs of stone which frame the door way. 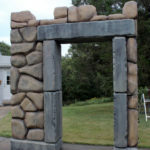 The resulting foam prop has the feel of a real stone castle gate, fit for any ancient fortress! 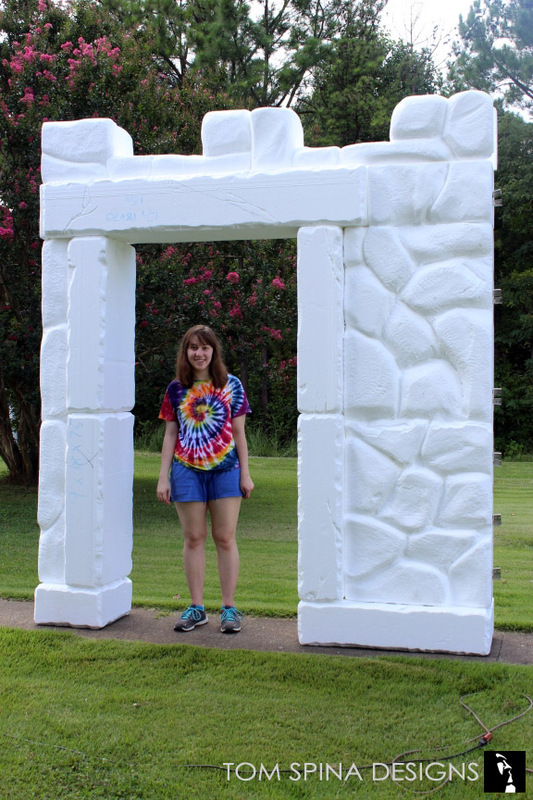 With the basic shapes carved out, Rich then gave the entire wall a hard coating to add texture but more importantly stability. 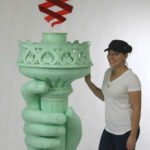 Especially with this wall being within reach of the public at the museum exhibit, the hard coating was very important to help it stand up to a large amount of people touching and handling the wall. 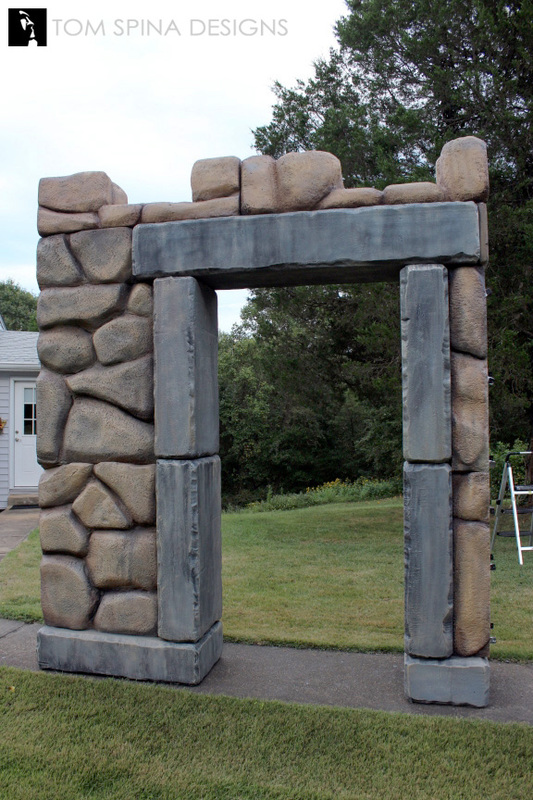 Rich finished off the castle gate with a realistic paint scheme which gave distinct looks to the doorway and surrounding stones. 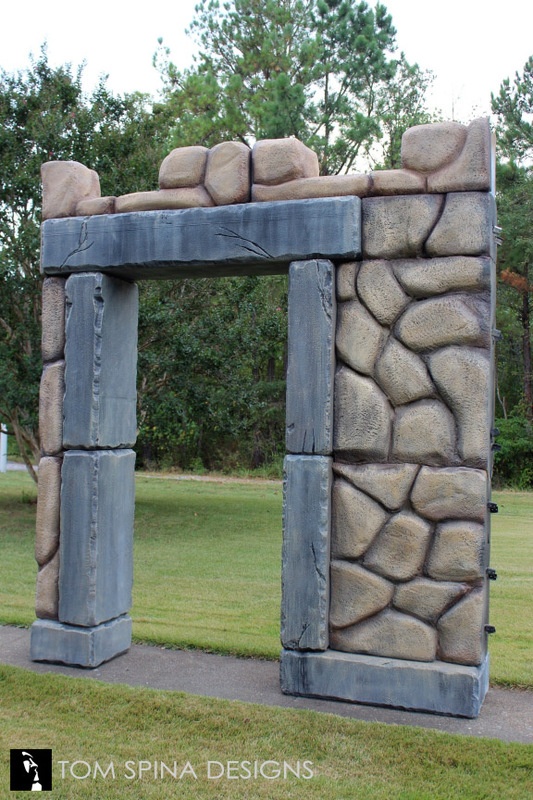 The finished scenic prop is a unique way to introduce visitors to the exhibit and really bring history to life.